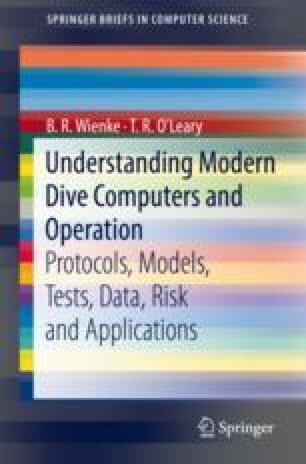 Dive computers are useful tools across recreational and technical diving. They are supplanting traditional dive tables and their use is growing as diving research advances. Able to process depth-time readings in fractions of a second, modern dive computers routinely estimate hypothetical dissolved gas loadings, bubble buildup, ascent and descent rates, diver ceilings, time remaining, decompression staging, oxygen toxicity and many related variables. Like diving, their development has an interesting history.